It's time for another episode of Feelin' Sketchy—the newsletter that brings you the best tips, articles and links on all things sketchy. 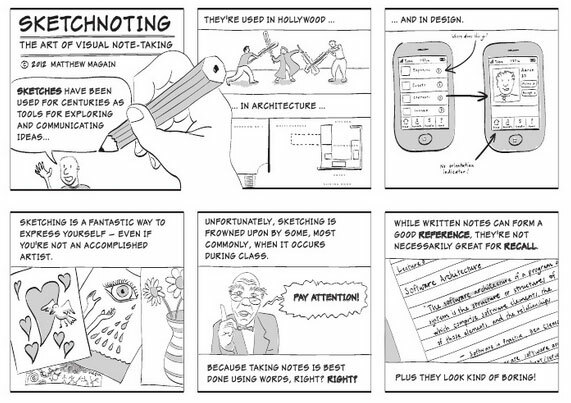 In this issue we talk about sketchnoting, or visual note-taking. 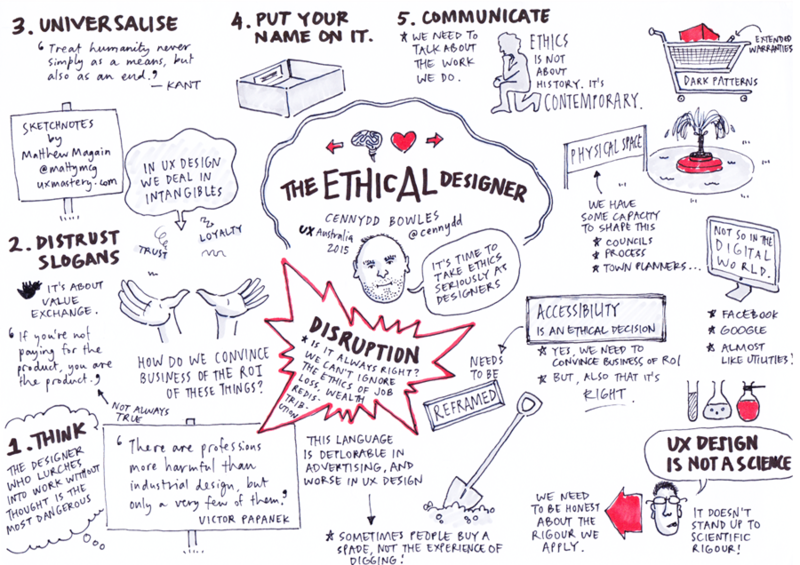 I was actually in Brisbane last week, attending a design conference (and teaching some workshops on sketching). I captured a number of the sessions I attended as sketchnotes, and have since referred to them a few times. They're just so much more interesting than written notes, don't you think? Read on for some tips on how to create your own. We're all eager to save money, right? Well, how about saving the environment at the same time? 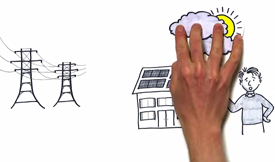 The explainer video that we created for Reposit Power explains how solar power generation works, and how their revolutionary battery can even make you money, buy selling power back into the grid. It's a win for the planet, and your pocket! I always receive lovely comments when I'm sketching at a conference. 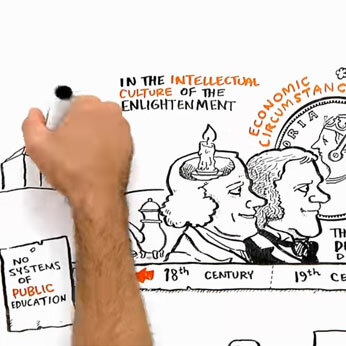 Sketchnoting, or visual note-taking, is not only a novel way to capture a presentation that you're attending. It can also help with recall and retention! This is also one of the services I offer my clients who run workshops and conferences. Here are some tips to give your notes a boost. Be sure you have a blank notebook, felt tip pen, and a grey or coloured marker for highlights. 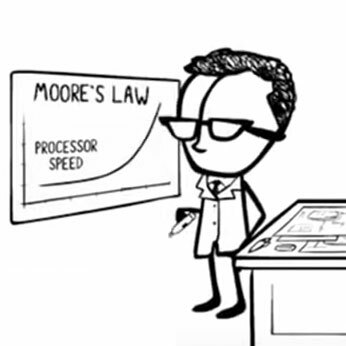 Instead of watching another episode of Big Bang Theory tonight, plug your load up some inspiring TED talks, and get sketching! Build up a visual vocab of common objects in your head, so you don't have to think "how do I draw that?" every time. When you hear someone say a phrase that resonates or beautifully summarises the point being made, jot it down and wrap it in some fancy talking marks or a speech balloon. This is a fancy designer way of saying “make your handwriting neat and the same.” If you can't read it, how can we hope to? The team at the RSA animate Sir Ken Robinson's question: "What if schools were not conveyor belts, and kids were not products to be churned out?" The Story of Stuff folks throw down the gauntlet to designers: built-in obsolescence in our technology is so last century! 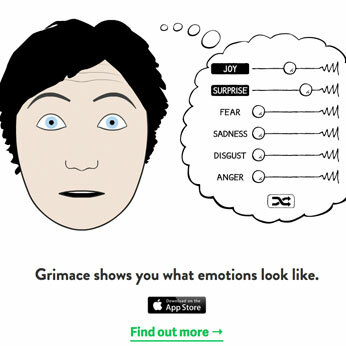 A wonderful interactive tool for exploring and combining emotions. Hours of fun (and a useful reference for when you're stuck trying to find that right expression). I hope you guys enjoy the content of this newsletter as much as I do pulling it together. Here's to an awesome week!